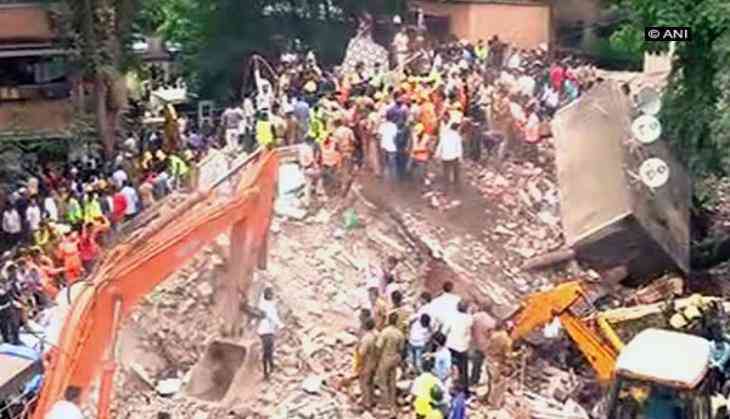 A three-storeyed residential building collapsed near the J.J. junction in the Pakmodia street of the Dongri area of Mumbai, Maharashtra on Thursday morning. The building, named Husaini building, is located at the Bohari Mahal and falls under the jurisdiction of the J.J. Marg Police Station. As many as 20-25 people are fear trapped under the debris. The DCP Zone 1, Dr Manoj Sharma, has confirmed to ANI that three people have been rescued from the debris, and the look-out for more survivors is underway. Meanwhile, a police team, a team of the National Disaster Response Force (NDRF), the fire brigade and ambulances have been rushed to the spot. Mumbai has been receiving heavy rains since Tuesday disrupting the normal life of the people. The city received over 300 mm rain on August 29 alone, almost touching the July 26, 2005 deluge.